Yes, they're apparently banning foie gras in Los Angeles come July 2012 ... Alas. That means I'm going to eat it every chance I get before then. I'm also introducing a new series on my blog: Foie Fridays! Foie Gras Sushi, smoked tea plum, toasted sesame. 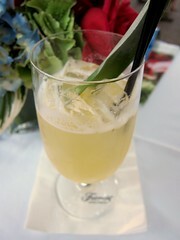 This dish by Chef Mark Gold won the LA Magazine's "Island Style Cook-off" aka the "pupu challenge". With a generous piece of roasted foie gras and only lightly sauced, it's one of the most decadent "sushi" you'd have. Their menu does change regularly, but you can always try to ask for this dish! 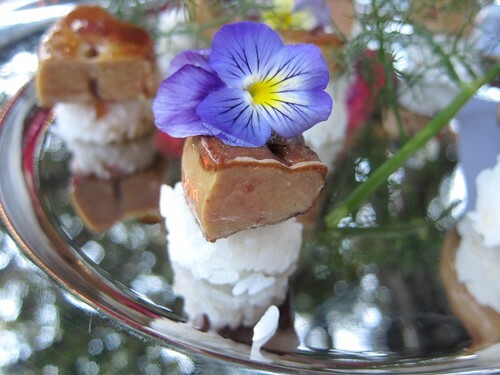 What are your favorite foie dishes?